If, like many people interested in mythology and universal wisdom, you use Tarot cards for intuitive insight into your current life process, you might be interested in Tarot layouts based on the five universal shapes. This could be an interesting followup to the basic Preferential Shapes Test. Just just choose the layout that corresponds to the card you chose for position three. This is the shape that corresponds with the core process at work in your life right now. It's the process that needs the most conscious support from you. I ran across this information while researching the five universal shapes identified by anthropologist Angeles Arrien. 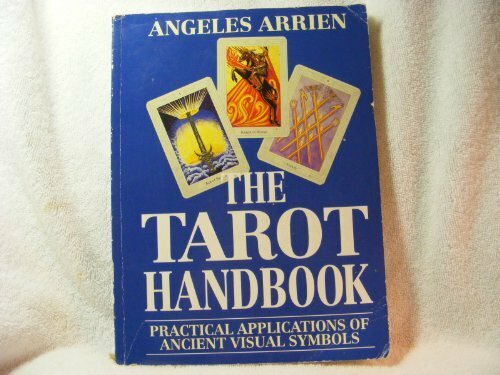 As part of her research on symbols, Angeles Arrien wrote “The Tarot Handbook: Practical Applications of Ancient Visual Symbols. I've used the Tarot myself, but this handbook is new to me. 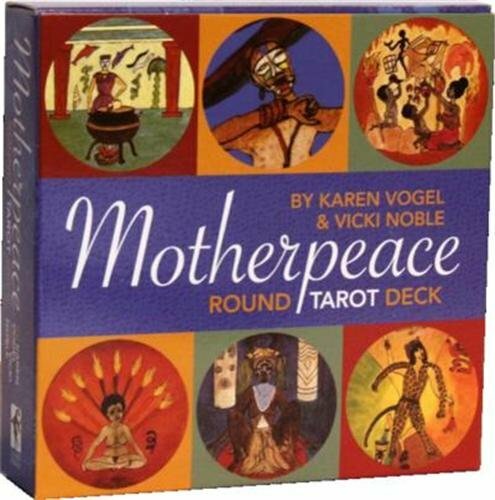 The Tarot cards I've used over the years are the circular Motherpeace Tarot cards by Karen Vogel and Vicki Noble. 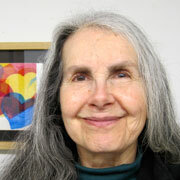 I like the feminist paintings on the cards, and there's something about their round shape that I find very appealing. If your current Preferential Shapes test shows the circle in position three, then I'd guess that using these round Tarot cards would appeal to you too. The cards are laid out in a circular pattern (wholeness) that also includes a cross (relationship). As always, though, your own intuition is your best guide. 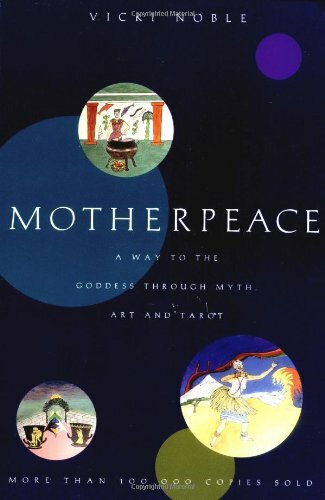 When using the Motherpeace Tarot cards, I also used Vicki Noble’s interpretations in Motherpeace: A Way to the Goddess Through Myth, Art, and Tarot. In addition to the feminist emphasis, I've appreciated the way the authors integrate the Four Directions into the interpretations. I use the past tense because it's been several years since I've used Tarot cards. For a long time I did find them excellent tools for insight and access to inner guidance. Now I'm focused on getting more direct guidance. If the Tarot cards and process attract you, I say give them a go!. If my intuition or other reliable guidance suggests using them again, I will. If you order from Amazon.com via any of the links in this blog, you’ll be contributing to my mission as a heart painter. I will appreciate it. If you'd like to know a bit more about the Tarot, here's a simple introduction to How Tarot Cards Work. For example, the author makes clear that the Tarot cards are for insight into your current life rather than your definite future. The point is to dig a bit deeper into what's really going on in your life -- get some intuitive leads. The layout shown in this article is in the shape of a cross. Wikipedia has a long article on the Tarot, detailing the history of the Tarot plus its many variations among countries. Want to get the next articles by email? Have you used the Tarot? Perhaps you've seen connections between the five shapes and the Tarot that I haven't mentioned here. Please feel free to share your comments, questions and suggestions here.